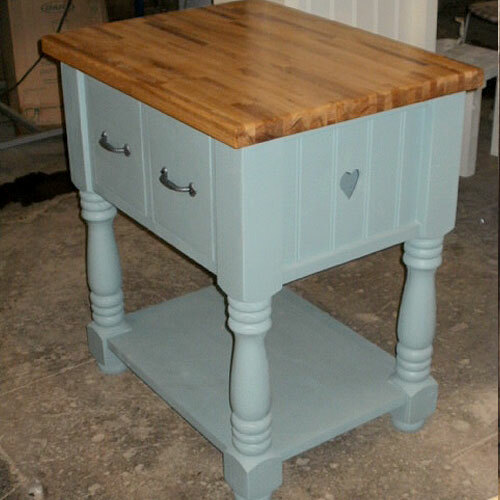 Description: The newest addition to our popular 'Queen of Hearts' range- a lovely butcher's block. Full of the range's charm and endearing qualities, this piece offers a sturdy and robust work area and great storage facilities. 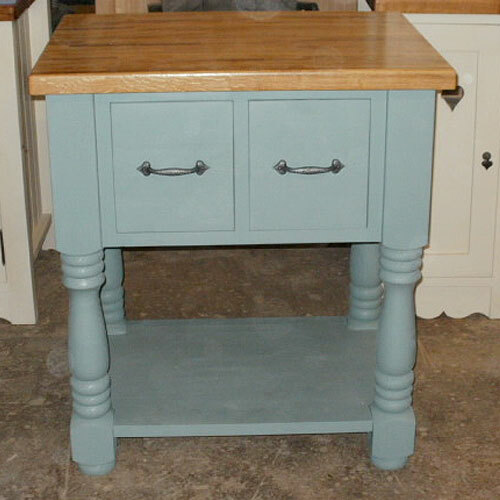 Two large, deep drawers and a bottom shelf, brought together with the decorative turned legs. Complete with 4cm thick Oak worktop. Colour shown: Farrow and Ball, Oval Room Blue. Worktop finished with Danish Oil.